This rectangular stole is worked in one piece – no sewing or grafting required. Graphical-floral ornaments are set against a background of stockinette stitch. 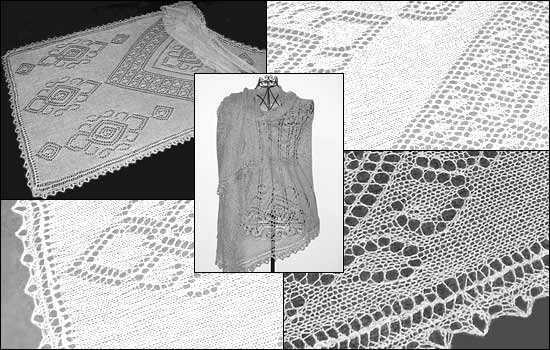 The stole can be finished with a small lace edging that is knitted around all edges. *Charlotte* is one of the 12 patterns included in the ebook *TuecherRausch*.